Super Bowl 50’s line up has been set. Denver Broncos VS Carolina Panthers!!! Many people will tune in to the match up or maybe tune in for the commercials. Here are cooking safety tips you can share to help people celebrate safely. 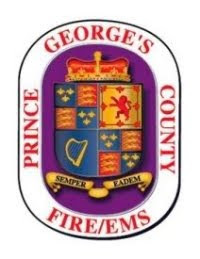 Take the time to "Press to Test" your smoke alarms and carbon monoxide detectors today - the Safety First Day of the Month of February. This test will ensure if your alarm is working or not. Non-working alarms could cost you your life!!!. These working life saving devices will protect you, your loved ones and Super Bowl party guests. If you do not have a working smoke alarm and can not afford to purchase one yourself call 311 and a firefighter will visit your home and install one for you, free of charge. If you purchase your own smoke or CO alarm make sure they are the 10-year type with a hush feature available at most home improvement stores.